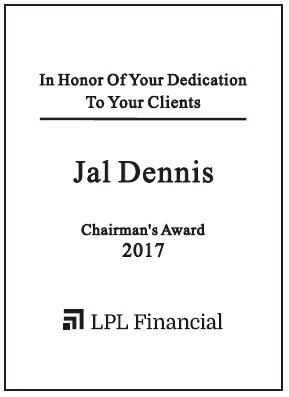 LPL Financial annually recognizes their top advisors. 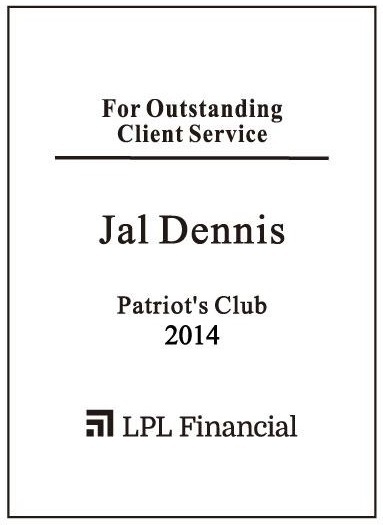 These prestigious awards are based on annual production among LPL Advisors only. 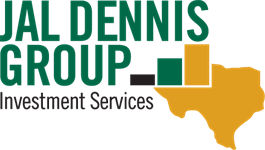 Members of the clubs serve as resources and counselors for their clients and their communities. This distinct achievement represents a commitment to helping clients pursue their financial goals. The Chairman's Club is awarded to less than 5% of the firm's approximately 16,000 advisors nationwide. The Patriot's Club is awarded to less than 8%, Director's Club is awarded to less than 20%, and the Freedom Club is awarded to less than 40% of the firm's advisors. The Five Star Award recognizes service professionals who provide quality services to their clients. 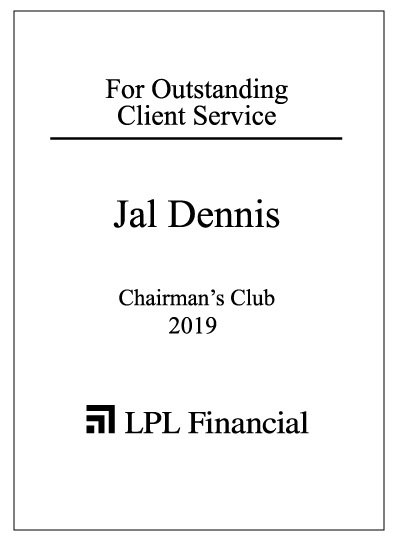 The award is based on ten objective criteria associated with providing quality services to clients such as credentials, experience, and assets under management among other factors. 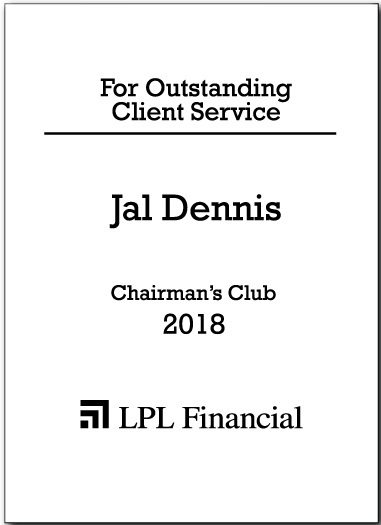 Wealth Managers do not pay a fee to be considered or placed on the final list of 2014, 2015, 2016, 2017, and 2018 Five Star Wealth Managers. 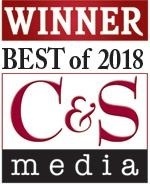 The Best Of Wylie is a poll administered by The Wylie News in which readers vote for their favorite local businesses. 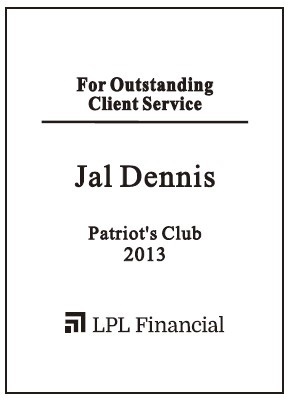 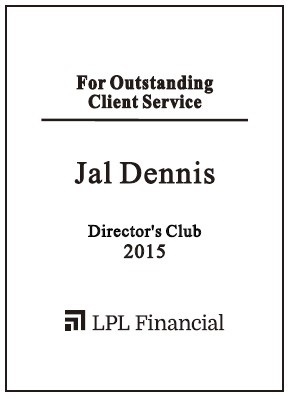 The Jal Dennis Group was voted the best in the Financial Advisor/Broker category.